Blackout Lightproof sheeting is highly versatile and can be used to separate 2 grow spaces with different light/dark periods in the same area, preventing light from one grow-space leaking into another while efficiently reflecting light back into the grow spaces on each side. 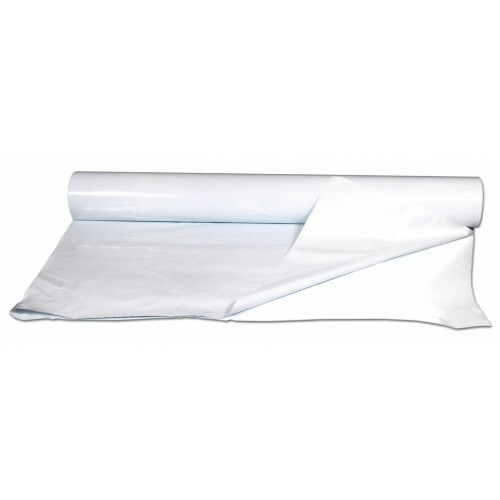 Blackout Lightproof sheeting can also be used as normal reflective sheeting. Blackout Sheeting can be hung around your grow space and indeed anywhere in your grow room on walls, even on the ceiling, in fact anywhere that light needs to be reflected back towards the garden. Blackout Lightproof Sheeting can also be used over windows etc to prevent light escaping from your grow room. Mylar Reflective Sheeting Mylar Reflective Sheeting ultra silver for maximum reflection of ligh..
Diamond Reflective Sheeting Compared to normal sheeting, Diamond Reflective Sheeting is far mor..
Aluminium Silver Tape:50m rolls of aluminium silver tape 50mm wide. Incredibly sticky aluminium tape.. Round Plant Pot Saucers A complete size range of Round Plant Pot Saucers to suit our range of R..